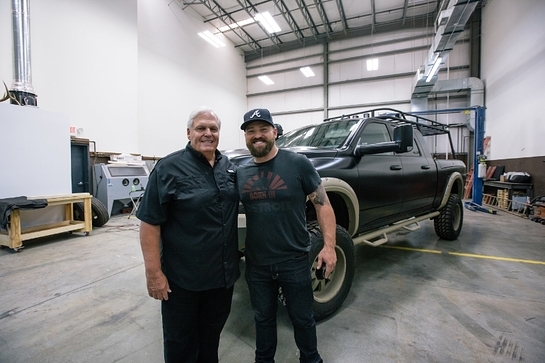 GRAMMY Award-winning artist Zac Brown has custom designed a 2015 Ram 2500 Commando to be auctioned by Barrett-Jackson on October 15th in support of his non-profit passion-project, Camp Southern Ground. While Zac took command of the design for the project, he worked closely with his in-house design team, Zac Brown Customs, to bring to life this truly one-of-a-kind truck. Designed with the outdoor enthusiast in mind, the interior of the truck has been outfitted with Mississippi Hornback Alligator skin on the seats, center console and steering wheel. The floor mats and sun visors liners feature Brazilian Bovine hair-on-hide, while also being equipped with knives courtesy of Zac’s metal works shop, Southern Grind. On the outside you’ll notice immediately the rugged off-road accessories generously donated by Greg Adler of 4 Wheel Parts, and the hand-painted Kryptek Camo rear truck bed, which also features a hidden tailgate step. Most notably on this truck is the front grill, which features 33 GranDaddy knives, also from Southern Grind. 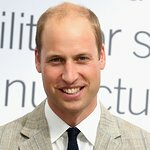 “It’s very generous of Rick to donate the truck, and I think anyone who truly appreciates something that is totally unique is going to like this a lot. The team at ZB Customs really outdid themselves this time. 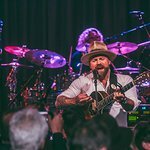 It’s always amazing to see a project like this come together in support of Camp Southern Ground,” said Zac. Camp Southern Ground is located on over 400 acres in Fayetteville, Georgia. Its focus is on Children with Autism Spectrum Disorders (ASD), such as Autism and Asperger’s Syndrome, ADD/ADHD including Dyslexia, and children with family members serving in the military. To register to bid on the Zac Brown 2015 Ram 2500 when it goes to auction, click here.